Here are a few basic ways to see that clogs are rare during the year. Schedule drain cleaning – This is the most important step to take to make stopped and slow drains into something you rarely have to worry about. “Drain cleaning” doesn’t mean pouring a bottle of caustic chemicals from the store down each of your drains. That can actually damage them, and it doesn’t do much more than eat through a clog—it won’t clean out the debris left behind. Drain cleaning is a professional service you can arrange with our plumbers. We’ll scour the inside of your drains to remove mineral and organic build-up so the drains are clear. This will make it harder for the build-up to start again. Install drain caps and screens – Drains that are wide open can not only allow for objects to be accidentally knocked down them, they also permit smaller objects like hair to easily sluice into them. Drain caps and special screens can be installed into these drains. We recommend these in particular for bathroom sinks, showers, and tubs, where hair is a major problem leading to obstinate clogs. These screens also help stop soap scum, another major problem. You’ll need to clean out the covers routinely so they don’t create stoppages or slow drainage. Keep fats, grease, and oils out of drains – This is an important kitchen tip! Always pour fats, oils, and grease (also known as FOG) into a separate container rather than down a kitchen drain. These cooking products do not remain in liquid form when they cool down, and they’ll stick to drainpipe walls until they close off the drain entirely. Run hot water down the sink after use – Hot water is effective at washing away FOG and other debris in drains, so after you’re done with the kitchen sink, let a bit of hot water from the faucet run down the drain. 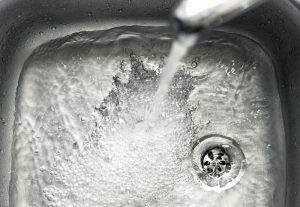 To get started with the first step, drain cleaning in Burlington, VT, you only need to get in touch with our plumbers. Our professionals will see that you have drains that are “like new” once they’re done. This is especially helpful as you move into the holiday season and the drains in your kitchen will see much more work. Red Rock Mechanical, LLC serves Northwest Vermont and Northeast New York. Schedule drain cleaning today to get started with clog prevention.